Peruvian cuisine Is widely regarded as one of the most delicious and diverse cuisines in the world. Thanks to Peru´s immense biodiversity, traditional dishes draw on a wide variety of ingredients. 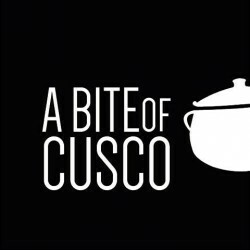 A Bite of Cusco is a gastronomic tour operator specialized in cooking classes and gastronomic tours throughout the region of Cusco. We promote local development by supporting native communities, local farmers and businesses. A Bite of Cusco offers itineraries for small and medium-sized groups who want to get to know the Peruvian culture by exploring its gastronomy. Our gastronomic laboratory, set in the countryside of Cusco, provides the perfect setting for your hands-on cooking lessons and demonstrations with our talented Peruvian chefs. We offer a variety of culinary options tailor-made to meet every need and interest, making your stay in Cusco unforgettable. The goal of A Bite of Cusco is to provide outstanding socially responsible and eco-friendly gastronomic tours throughout the Cusco region. By joining us you will discover the authentic Peruvian culture and it will be a highlight of your trip to Peru. Our products are bought from local markets and providers, whom you will get to know during our market tour, and you will pick some of your own ingredients from our very own on-site garden and greenhouse.